Hyundai is India’s second largest car brand by volume. The lineup comes with Eon as the most affordable option while Tucson is presently the most expensive car at INR 25.74 lakh. In between the limits, Hyundai offers mass-market cars like Grand i10, the new Santro, Xcent compact sedan and i20 premium hatchback. Apart from these, Verna, Creta, and Elantra are available for those who need more space and power for the enhanced drive. 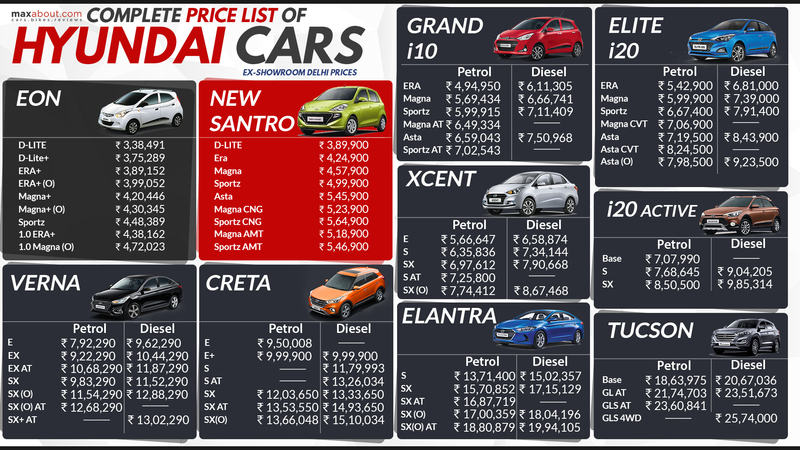 The most selling product list includes Grand i10 at number one and i20 at the second position. The even more surprising factor is listing of Creta at number three with more than 10,000 units each month.